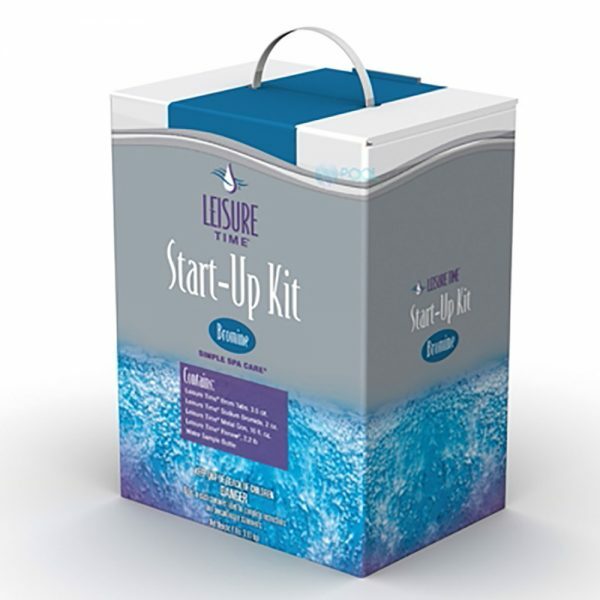 This kit contains the essential products needed for bromine spa start-up and maintenance. Leisure Time® Brom Tabs, 3.5 oz. Leisure Time® Sodium Bromide, 2 oz. Leisure Time® Metal Gon, 16 fl. oz. Leisure Time® Renew®, 2.2 lb.